Marcello Menapace completed his first master’s Degree in Chemistry at the University of Milan (Italy); second master’s Degree in Business Administration (MBA) at the London School of Business and Finance in London (UK) and his PhD in Life Science at the H S University in Philadelphia, USA. He is a Researcher, Philosopher, Scientist, Medical Writer and Professional Regulatory Consultant. He has worked in the pharmaceutical industry for over 15 years as a Lead Consultant and Research Scientist for various biotech companies and is a Member of the professional organization TOPRA. He is the Director of M&Ms Consulting Ltd., a high-end consultancy service organization. He has published one scientific paper on Science and Ethics and is an Honourable Speaker at the European Congress of Applied Science and is currently collaborating with biotech companies to publish other biological and chemical research manuscripts. Sima Hamadeh is an Associate Professor and program Coordinator of Nutrition & Dietetics Sciences at Haigazian University-Lebanon. Her interests lie in such areas as the dietary motivations and behaviors in communities; the evolution of nutrition; the epidemiology of obesity especially among youth; the health promotion and communication; and the nutrition policies. Her Master and Doctoral studies were awarded respectively, the “Emerald Literati Network Awards for Excellence 2009” - as Highly Commended Award Winner and the “Prix d’Excellence Scientifique Franco-Libanais 2015” for the outstanding research project. She has several publications in scientific refereed journals and book. 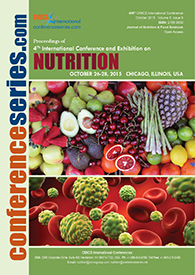 She has also many oral communications on public health nutrition in international and national congresses. She works closely with different national ministries and organizations, and international institutions in projects, seminars, researches and community programs. Dr. Hamadeh is also former member of several executive international Scientific Committees and Associations. Dae Young Kwon completed his Bachelor degree in Department of Food Science and Engineering at Seoul National University; MS and PhD in Biological Science and Biotechnology at Korea Advanced Institute of Science and Technology (KAIST). After completing his Post-doctoral training at Whitehead Institute, MIT, Cambridge, he has started his research as Research Scientist at Korea Food Research Institute (KFRI). He worked at KFRI in the field of Food Biological Chemistry. He worked as Adjunct Professor at Sookmyung University in 1997-2003. He is a Professor of United University of Science and Technology since 2004. He worked as a Vice-President of KFRI. He is a Fellow of Korea Academy of Science and Technology since 2011. He is a President of Korean Society of Food-Health Communication and Vice-president of Korea Society of Nutrition, Korean Society of Metabolomics, Korean Society of Food and Nutrition and Korean Forum of Fermentation and Food Culture. He has worked on the health effect for metabolic syndrome, anti-aging food and food culture and history. He has published more than 250 research papers in several renowned SCI international journals in the areas of ethnic foods and bioactive food components and those papers were cited about 1,000 times in SCI journals. Reiko Suzuki completed his PhD degree in 2006 at Karolinska Institute, Sweden. Her research area is a hormone-related dietary factors and estrogen-receptor and progesterone receptor defined breast cancer risk. She was a Post-doctoral student at Cancer Research UK, Oxford University (2007), and National Cancer Center in Japan (2008-2011). 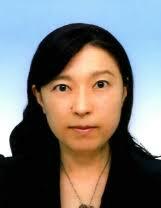 Now, she is a Professor at Tokyo Healthcare University (2011-2017). Robert Buist completed his PhD in Medicinal Chemistry and Pharmacology. He spent eight years in Asthma and Cardiovascular Drug Research at Macquarie University, followed by a Postdoctoral Research Fellowship at New York State Health Department. 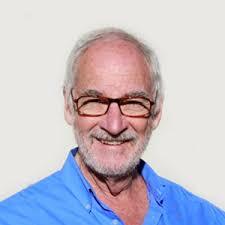 He is presently acknowledged as one of the founders of Nutritional Medicine in Australia. 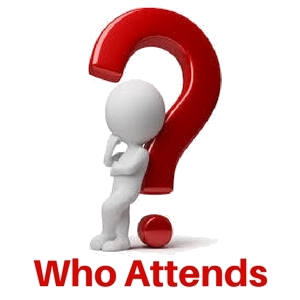 He is currently a Nutritional Educator for pharmacists, doctors, and other health professionals, and is a formulator of nutrition products and functional foods. nutrition products and functional foods. Lonnie Lowery is an exercise physiologist, Registered Dietitian, and Associate Professor at the University of Mount Union, He has 20 years’ experience in teaching and He has published nearly 20 papers in different types of Journals. Kenneth Olson, MD, PhD, is certified in Internal Medicine and in Clinical Nutrition. His PhD is in Nutrition Sciences. He has an active consulting practice of Nutritional Medicine for 30 years in both hospital and outpatient settings. He has taught nutrition to medical students, dental students, postgraduate physicians, and to dietitians as well as community groups. He has published within the field of nutrition and in clinical medicine and animal research directed toward clinical applications. He previously presented posters on Nutrition and AIDS at the National Institutes of Health and at similar meeting in Houston, Texas USA. He has collaborated with Mohammad Khaled, PhD, for many years in the areas of diet composition and the functionality of food associated with clinical outcomes especially involving the immune system and inflammatory processes. Aisling Aherne graduated with both a BSc in Nutrition and PhD in Nutritional Biochemistry from University College Cork (UCC). Her career has involved working in nutrition research, science communication, and clinical nutrition support. In April 2016, Aisling joined Kerry Group as Nutrition Science Manager for Europe & Russia. Her role involves working collaboratively with Kerry RD&A, Marketing, Regulatory, and Commercial teams on projects and opportunities. Aisling is also involved in nutrition research projects internally and also externally with various third level research institutes. In February 2018, Aisling presented on a Kerry Health and Nutrition Institute webinar entitled ”Sugar Reduction: formulating for Success”. Korean Ginseng Research Co. Ltd.
Jong Dae Park received his BS and PhD at the School of Pharmacy, Sungkyunkwan University, South Korea in 1980. Following his PhD in 1987, he took a Post-doctoral course at the Faculty of Pharmaceutical Sciences, Osaka University, Japan in 1990. He has worked as a Project Leader at the Division of Ginseng Efficacy, Korea Ginseng & Tobacco Research Institute. His main research interest is in the field of discovery of new drugs and nutraceuticals from natural sources, which covers isolation and characterization of immunomodulatory acidic polysaccharide from red ginseng and development of anti-rheumatoid arthritis and anti-hypolipidemic agents from ginseng and crude drugs. He is now the Project Investigator for the National Research Project related to development of new materials relieving heat shock stress from Korean ginseng. Dr. Francisco Javier SEÑORANS has developed his research and teaching career in Food Science and Nutrition in different Spanish and international Institutions during the last 25 years at Madrid University (CSIC and UAM) and at Uppsala University (Sweden) as Researcher and Lecturer for two years. He is Chemical Sciences PhD and since 2002, he is Profesor Titular (Associate Professor) at Universidad. Autonoma de Madrid (Spain), where he has been responsible of numerous research projects and contracts with industry. Prof. Señorans was in charge of the management as a Co-director and creation of the Joint Institute in Food Science Research (CIAL). He is co-author of more than 110 publications of international impact (SCI) with h index of 33 (Web of Science) and of several international patents transferred to industry. In 2001 he received the Prize "Archer Daniels" granted by the AOCS. At present he directs a research team with a sound record of research contract with food and pharma industry, in projects related with healthy lipids, including omega-3 fractionation and enrichment of fish and marine oils, microalgae components extraction with compressed fluids and supercritical technology, and enzymatic technologies for structured lipids, hipocaloric oils, and polar lipids. Eileen Kennedy is the Dean of the Friedman School of Nutrition Science and Policy at Tufts University and was the first Director of USDA's Center for Nutrition Policy and Promotion. Kennedy holds an undergraduate degree from Hunter College, two master's degrees from Pennsylvania State University, and a Doctor of Science in Nutrition from Harvard's School of Public Health. Kennedy has long been involved in the academic arena of nutrition conducting research and teaching at Tufts, Columbia University, Cornell University and Johns Hopkins University. In 2008, Dr. Kennedy was named president of the "Smart Choices" board. “Smart Choices” is a front of label nutrition benchmarking system, a program whose criteria are based on government dietary guidelines and widely accepted nutritional standards. Assessing the health and nutrition impacts of policies and programs; nutrient density and diet diversity; interventions for obesity prevention. Dr. Neeta Singh has completed his PhD from Oregon State University followed by MBA in International Affairs and is a Registered Dietitian. Dr. Singh serves as Chair of Nutrition Program with School of Methemetics, Science & Engineering at University of Incarnate, San Antonio, Texas. Her initial research was in artificial intelligence applications in areas of food aid distribution. From past 7 years Dr. Singh has is working on various food sustainability projects as means of improving nutritional status among rural population in the Republic of Tanzania. She has presented her work at various international venues, published in books and has been serving as an editorial board memeber of several international journals. Dr. Gaspar Ros Berruezo is Professor of Human Nutrition and Food Science (including Food Safety) at the University of Murcia (UM), serving this Institution for more than 25 years. He has been Post-Doc Fulbright Scholar in 1989-90 at the University of Tennessee at Knoxville, USA as visiting professor. Project leader of the VITALIS Centre for Research in Food Science, Human Nutrition and Health in the Mediterranean area, under construction. Research interest is to functional foods and ingredients, the metabolism to nutritional functionality (including bioavailability and omics) for normal growth and development on infants, and to prevent non-communicable diseases (NCDs) such as cardiovascular diseases or obesity. functional foods and ingredients, the metabolism to nutritional functionality (including bioavailability and omics) for normal growth and development on infants, and to prevent non-communicable diseases (NCDs) such as cardiovascular diseases or obesity. Marica Bakovic completed BSc in Chemistry and PhD in Biological Chemistry at the University of Alberta. She received post-doctoral awards from Medical Research Council and Alberta Heritage Foundation. Before coming to the University of Guelph, she worked in the area of molecular and cell biology of lipid metabolism at the Faculty of Medicine, University of Alberta. Currently, she is Professor in the Department of Human Health and Nutritional Sciences at the University of Guelph. Dr. Bakovic has a long-lasting interest in nutrition and metabolism, especially in the area of regulation of membrane phospholipids, fatty acids, and methyl-group donors. Professor Iman Hakim is the dean of the College of Public Health at the University of Arizona (UA). She is the Mel & Enid Zuckerman Endowed Chair in Public Health and the founding director of the Global Health Institute at UA. She is a member of the UA Cancer Center and Sarver Heart Center. She holds joint appointments in the in the Department of Family and Community Medicine at the UA College of Medicine and Departments of Nutrition at UA. She is internationally known for her translational research and work on the role of bioactive food compounds such as green tea and d-limonene in modulation of oxidative damage and prevention of chronic diseases such as cancer, cardiovascular diseases, and diabetes. She has spoken at numerous national and international conferences. Her research focuses on health promotion, dietary interventions, and the role of gene-environment and gene-nutrition interactions in chronic disease prevention. She has been the Principal Investigator of several clinical trials focused on nutrition, cancer prevention, and coronary heart disease, chemoprevention of lung carcinogenesis using green tea; dietary interventions to study the effects of tea consumption on smoking-related oxidative stress and role of d-limonene and citrus-cancer association in Mediterranean diet. Fayaz Ahmed Sahibzada has completed his Master of Science degree in Human Nutrition in 1999 from NWFP Agricultural University, Pakistan. He has worked as a Clinical Dietitian in Abbas Institute of Medical Sciences since 2004. In June 2004, he migrated to Australia as a skilled professional and got Australian Citizenship and completed his MSc in Clinical Nutrition from University of Wollongong, Australia in 2007. Iman Hakim is a professor of public health and the Dean of the University of Arizona College of Public Health. She is internationally known for her translational research on the role of bioactive food compounds in modulation of oxidative damage and prevention of chronic diseases. She has been the Principal Investigator of several large-scale clinical trials focused on nutrition and cancer prevention. Dr. Hakim earned her medical degree from Cairo University in Egypt and her PhD from Ain-Shams University in Cairo, Egypt. She received her MPH degree in Preventive Medicine from the University of Arizona, College of Medicine. David O. Kennedy, PhD, is Professor of Biological Psychology and the Director of the Brain Performance and Nutrition Research Centre at Northumbria University in the United Kingdom (www.nutrition-neuroscience.org). His own research involves investigating the effects of nutritional interventions, including vitamins and minerals, omega-3 fatty acids, amino acids, and a host of plant-derived extracts and compounds, including polyphenols and caffeine, on human brain function. His recently published book, Plants and the Human Brain (Oxford University Press), describes the psychopharmacology and plant ecological ‘secondary metabolite’ roles of a multitude of plant-derived compounds. Sciences since 2004. In June 2004 he Migrated to Australia as a Skilled Professional and got Australian Citizenship, Completed his M.Sc in Clinical Nutrition from University of Wollongong Australia in 2007.Worked in Nutrition Australia as a Nutritionist , From October 2010 to date working in Umm Al Qura University (UQU) Makkah Saudi Arabia as a Senior Lecturer in Clinical Nutrition Department and Teaching Dietetics and Supervising Research Projects as well, He has presented on Prevalence of Diabetes Mellitus and its Relation to Diet and Physical work in Azad Jammu & Kashmir in Fist International Conference and Exhibition on Nutritional Science & Therapy in August 2012 in Philadelphia USA organized by OMICS and he also presented in 2ndInternational Conference and Exhibition on Nutritional Science & Therapy in July 2013 in Philadelphia USA organized by OMICS on Anemia Status in a sample of Female Students of Umm Al-Qura University Holy Makkah Western Saudi Arabia KSA. Investigating the effects of nutritional interventions, including vitamins and minerals, omega-3 fatty acids, amino acids, and a host of plant-derived extracts and compounds, including polyphenols and caffeine, on human brain function. Mingruo Guo, a food chemist and inventor, specializes in the areas of functional foods, whey based environmentally safe products, prebiotics and probiotics, infant formula, herbs and nutritional food development. His ongoing research projects include whey protein-based, environmentally safe adhesive and glue products; milk, soy and oat-based symbiotic foods; soy-based coffee creamer; application of limited proteolysis of milk proteins in infant formula; and functional goat-milk yogurt kefir. He is author of the textbook "Functional Foods- Principles and Technology", published in 2007. 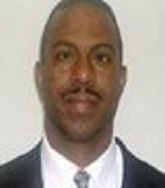 He serves as a consultant to both trouble shoot and help food manufacturers develop new products. He has a patent on spray drying technology and two others pending on functional foods and whey protein based wood finishes. Susanne Bügel completed her Master of Science (1990) MSc (Human nutrition), Odense University and PhD (1996) from Odense University, Faculty of Medical Sciences. Her present Research areas include bioavailability and function of micronutrients and bioactive dietary components, food production system and dietary quality, prevention of lifestyle diseases and quality of life. She is having scientific publications which include more than 140 publications of which 64 have been published in international journals with peer review. Dr. Pawloski is chair of and professor in the Department of Nutrition and Food Studies at George Mason University in Fairfax Virginia, United States. She is an expert in childhood obesity and biocultural aspects of health and nutrition among children, adolescents, and young adults. As a Fulbright Scholar in 1997, she examined the nutritional status of adolescent girls from the Segou Region in Mali, West Africa to explore factors impacting malnutrition in that region. Her current interests involve exploring the biocultural, geographic, and social determinants of obesity in transitional countries. Dr. Pawloski has most recently worked and conducted research in Nicaragua, Thailand, Chile, Iraq, and Costa Rica. Mingruo Guo, a food chemist and a full professor in the Department of Nutrition and Food Sciences at the University of Vermont (UVM), USA. He holds a Ph.D. degree in Food Chemistry from the National University of Ireland in 1990. 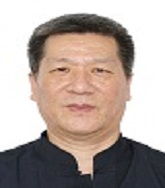 Dr. Guo`s scholarly interests include human milk biochemistry and infant formula manufacturing technology, functional foods, the utilization of whey protein in creating functional foods and environmentally safe products; biochemistry and technology of fermented dairy products. He published the first textbook on functional foods in the US in 2007 another book titled: Human milk Biochemistry and Infant Formula Manufacturing Technology was published in 2014. He has published more than 150 research articles, book chapters and conference proceedings. Shaik O. Rahaman, PhD, is an Assistant Professor in the Department of Nutrition and Food science at the University of Maryland, USA. His laboratory is interested in elucidating the molecular signaling events underlying the pathogenesis of various inflammatory diseases, specifically, atherosclerosis and fibrosis. Dr. Rahaman earned his PhD in Molecular Biology at Jadavpur University, and a BS in Human Physiology (Honors), and an MS in Biophysics and Molecular Biology from University of Calcutta. From 2000-2014, Dr. Rahaman worked at Cleveland Clinic, Cleveland, USA, as a Postdoctoral Fellow, eventually as a Project Scientist studying signal transduction in Cell Biology and Oncology. He has received many awards and honors. Dr. Rahaman was honored with Elsa Albrecht Award by Cleveland Clinic, which is awarded for outstanding publication. During 2011-2014, Dr. Rahaman also served as an Assistant Professor at Cleveland Clinic Lerner College of Medicine of Case Western Reserve University, USA. In 2013, he was the recipient of the American Heart Association Scientist Development Grant. Dr. Rahaman is the author or co-author of 20 research papers on neurobiology, oncology, atherosclerosis, or fibrosis in high impact international peer-reviewed journals of repute including Cell Metabolism and Journal of Clinical Investigation. Dr. Rahaman has given numerous invited talks nationally and internationally, and is a reviewer/editorial board member in numerous scientific journals. Dr. Rahaman also served as a reviewer for National Institute of Health (USA). Manfred Eggersdorfer is Senior Vice President of DSM Nutritional Products and Head of Research and Development. DSM Nutritional Products is the world’s leading supplier of vitamins, carotenoids and nutritional ingredients to the feed, food, pharmaceutical and personal care industries. Prior to joining DSM, he was worked for BASF, Ludwigshafen in various positions, including Head of Research and Development-Fine Chemicals. Dr. Eggersdorfer studied chemistry at the Technical University, Munich and was a post-doctoral student at Stanford University. He is member of the Kuratorium of the Fraunhofer‐Gesellschaft and the author of numerous publications on vitamins, innovation in nutritional ingredients and renewable resources. 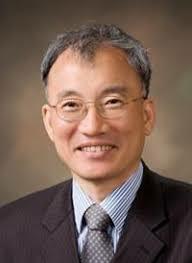 Dr. Wu’s research program is to elucidate the mechanisms underlying the pathogenesis of obesity and over nutrition-associated metabolic diseases including insulin resistance, diabetes, and fatty liver disease so that novel dietary and/or pharmacological approaches can be developed for preventing and/or treating metabolic diseases. He has been awarded with Junior Faculty Award, American Diabetes Association, 2010, Research Award, Minnesota Medical Foundation, 2004, Travel Award, Dept. of BMBB, the University of Minnesota, 2001, Pilot & Feasibility Research Award, Minnesota Obesity Center, 2002, 2005, Travel Award, The Center for Diabetes Research, University of Minnesota, 2001. Abdullah Al Ghamdi is the Director of health care specialty center. He has also served as the Co-Director of Medical Internship Unit, College of Medicine. He has been elected as the chief block coordinator of King Saud bin Abdulaziz University for Health Sciences. He is the coordinator of undergraduate family medicines and has served as the assistant professor of family medicine. Dean Iman Hakim is a professor of public health and the Dean of the University of Arizona College of Public Health. She is internationally known for her translational research on the role of bioactive food compounds in modulation of oxidative damage and prevention of chronic diseases. She has been the Principal Investigator of several large-scale clinical trials focused on nutrition and cancer prevention. Dr. Hakim earned her medical degree from Cairo University in Egypt and her PhD from Ain-Shams University in Cairo, Egypt. She received her MPH degree in Preventive Medicine from the University of Arizona, College of Medicine. Mankombu Sambasivan Swaminathan (born 7 August 1925) is an Indian geneticist and international administrator, renowned for his leading role in India's "Green Revolution," a program under which high-yield varieties of wheat and rice seedlings were planted in the fields of poor farmers. Swaminathan is known as "Indian Father of Green Revolution" for his leadership and success in introducing and further developing high-yielding varieties of wheat in India. He is the founder and chairman of the MS Swaminathan Research Foundation. His stated vision is to rid the world of hunger and poverty. Swaminathan is an advocate of moving India to sustainable development, especially using environmentally sustainable agriculture, sustainable food security and the preservation of biodiversity, which he calls an "evergreen revolution." From 1972 to 1979 he was director general of the Indian Council of Agricultural Research. He was Principal Secretary, Ministry of Agriculture from 1979 to 1980. He served as Director General of the International Rice Research Institute (1982–88) and became president of the International Union for the Conservation of Nature and Natural Resources in 1988. In 1999, Time magazine placed him in the 'Time 20' list of most influential Asian people of the 20th century. Dr.Ayesha Al Dhaheri is currently a Chairperson of the Nutrition and Health Department at the United Arab Emirates University. 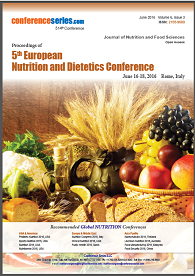 Dr. Al Dhaheri is also the Coordinator for MEFOODS and GULFOODS for FAO-Rome. Dr. Al Dhaheri also served as the Head of the World Health Organization (WHO) Collaborating Centre in Nutrition from 2012-2015. Dr. Al Dhaheri has conducted significant research in nutrition and has experience as a consultant in major research/projects in her field with national and international agencies such as MOH, HAAD, WHO, FAO, ICCIDD. As well as, she has been recognized by the World Health Organization as a Regional Facilitator for the introduction and dissemination of the WHO growth curves since February 2007. Dr.Al Dhaheri has conducted significant research in nutrition and has experience as a consultant in major research/projects in her field with national and international agencies such as MOH, HAAD, WHO, FAO, ICCIDD. Wael Aboughali completed his M.D. in Family Medicine Residency Program in 2002-2005. 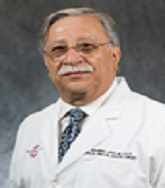 He served as Assistant Professor in The University of Texas Health Science Center at Houston for 5 years. He has been elected as the center medical director. He also served as a medical director for 9 months. He is now serving as a Deputy Medical Director and consultant in family medicine.